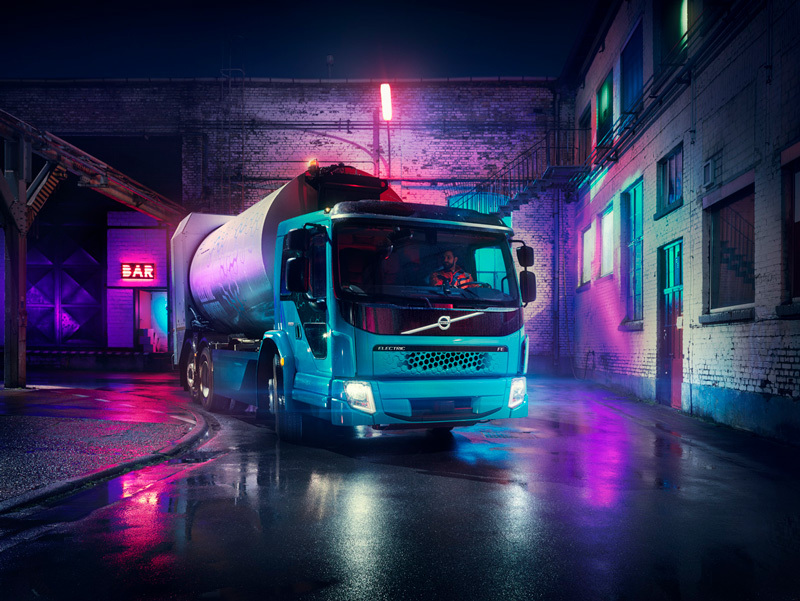 Just three weeks after the unveiling of Volvo Trucks’ first all-electric truck, the Volvo FL Electric, the company has decided to expand its product range with yet another electric truck - the Volvo FE Electric. It is designed for heavier city distribution and refuse transport operations with gross weights of up to 27 tonnes, sales of the new vehicle will commence in Europe in 2019. “With the introduction of the Volvo FE Electric we have a comprehensive range of electrically powered trucks for city operations and are taking yet another strategic step forward in the development of our total offer in electrified transport solutions. "This opens the door to new forms of co-operation with cities that target to improve air quality, reduce traffic noise, and cut congestion during peak hours since commercial operations can instead be carried out quietly and without tale-pipe exhaust emissions early in the morning or late at night,” said Claes Nilsson, President Volvo Trucks. The first Volvo FE Electric, a refuse truck with a superstructure developed together with Europe's largest truck bodybuilder, Faun, will start operating in early 2019 in Germany’s second-largest city, Hamburg. “Hamburg, which was named European Green Capital of the EU in 2011, has worked long and successfully on a broad front to enhance green and sustainable urban development. This applies not least in the transport sector, where electrified buses from Volvo are already being used in the public transport network. "The experiences and ambitions from this venture make Hamburg a highly interesting partner for us,” said Jonas Odermalm, Product Line Vice President for the Volvo FL and Volvo FE at Volvo Trucks. The new Volvo FE Electric will be offered in several variants for different types of transport assignment. For instance with Volvo’s low-entry cab, which makes it easier to enter and exit the cab and gives the driver a commanding view of surrounding traffic. The working environment improves too as a result of the low noise level and vibration-free operation. Battery capacity can be optimised to suit individual needs and charging takes place either via the mains or via quick-charge stations. “Our solutions for electrified transport are designed to suit the specific needs of each customer and each city. In addition to the vehicles, we will offer everything from route analysis to services and financing via our network of dealers and workshops throughout Europe. We also have close partnerships with suppliers of charging infrastructure,” said Jonas Odermalm.